For your convenience, you may download, print, and fill out the following forms and bring them to your first appointment. Please bring proper identification and insurance card(s) to your appointment along with this paperwork to help expedite the process. 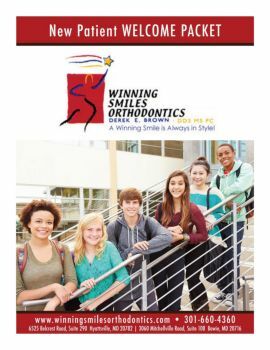 Click on our Welcome Packet below to learn more about Winning Smiles Orthodontics and our commitment to our patients!! !